Hey all, hope everyone is doing great. I am up with a card, which was started more than 3 weeks back, and I managed to finish it today! I am all over the place nowadays. It is one layer card. I used Kraft base here. 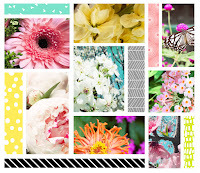 I chose winnie&walter - Addie's garden stamps for creating the background. I stamped the orchids in worn lipstick ink. 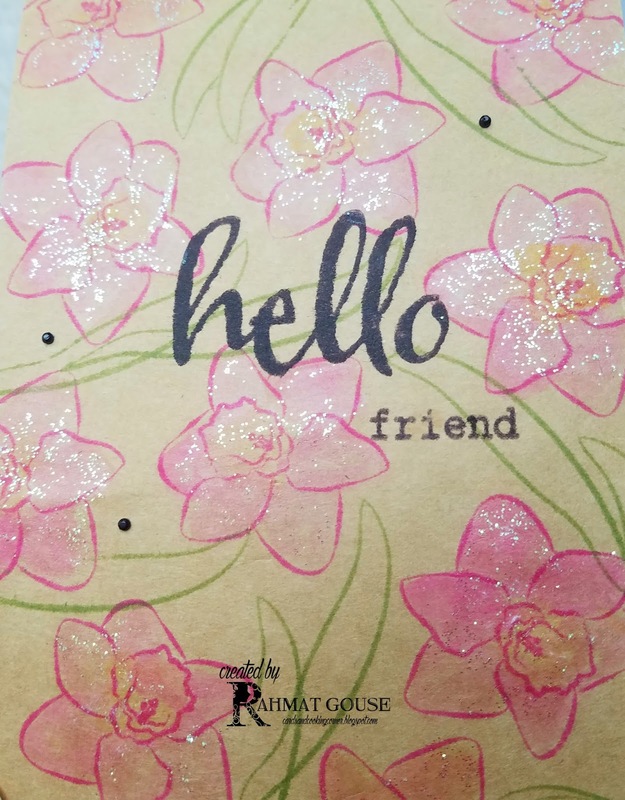 used a pink and yellow zig marker to randomly add the color. 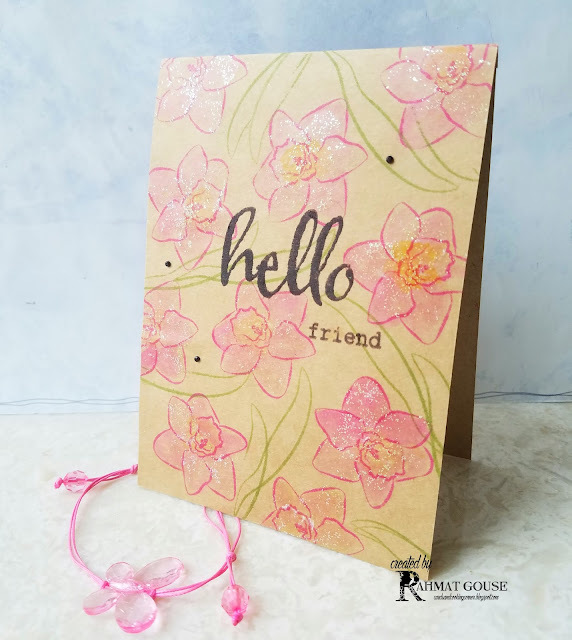 Then I added some wink of stella on the orchids to give a shimmer, and interest to my one layer card. The sentiment is also from W&W. I finished off with 3 black tiny rhine stones. Such a cool card, Rahmat! I've never tried coloring using Zigs on a kraft card base for the fear of it not showing up, but it seems like it looks pretty great! Love the randomly scattered, sparkly flowers!